Top 5 Batman artists - RKMBs v9.0: Rob's Damn Boards .:|:. The definitive Batman, to be sure. The only one I think could be disputed is Simonson, because he only did a handful of stories, but still milestone issues: DETECTIVE 443, 450, 500 (and less impressively 469 and 470). And BATMAN 300, 312 and 321. If there are others, I'm not aware of them. Making a case for Simonson. 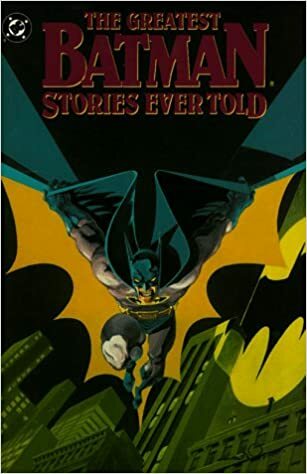 The cover for THE GREATEST BATMAN STORIES EVER TOLD (1989). It also reprints Simonson's BATMAN 312 story. 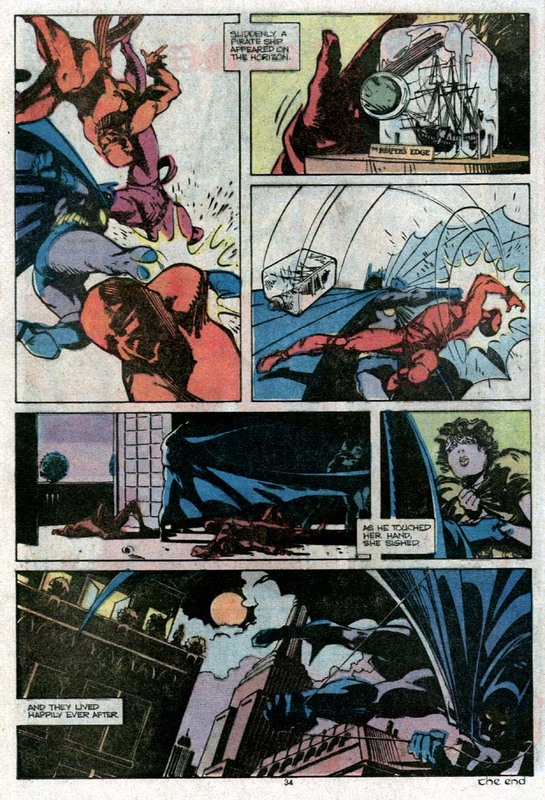 Another famous Simonson page, from DETECTIVE 443, where Manhunter and Batman meet for the first time. 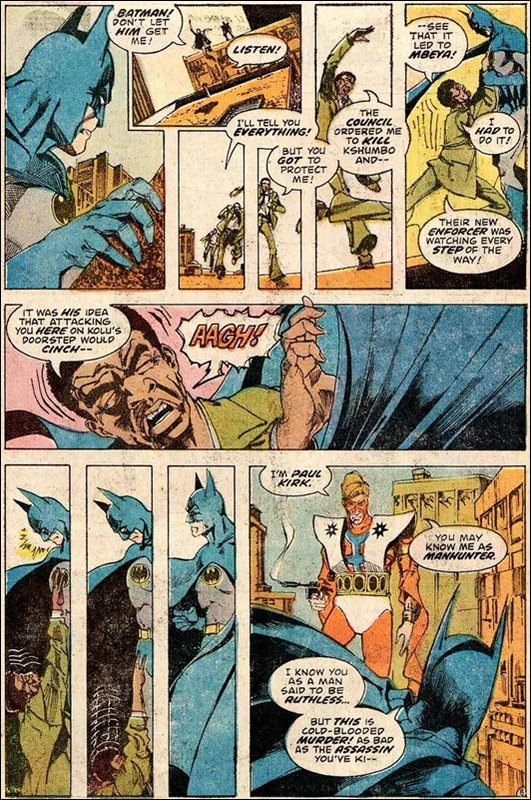 Interesting the difference in styles of Batman and Manhunter, Batman's restraint and adherence to the law, vs. Manhunter's lack of inhibition about killing assasins. Manhunter is, in fact, as Batman was in his earliest days, circa 1939--1941. And what a way for Simonson to begin drawing Batman, in the culmination of the already award-winning Manhunter series (DETECTIVE 437-443). 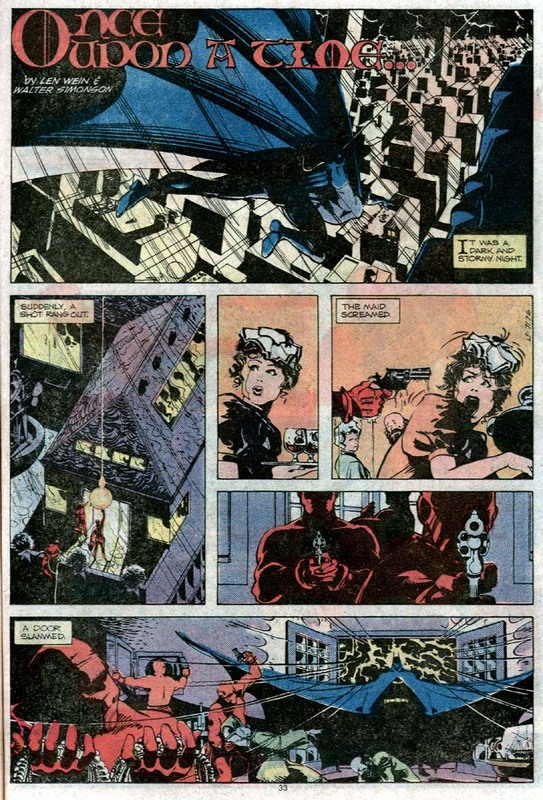 The Wein/Simonson offering from the DETECTIVE 500 anniversary issue in 1981. A pretty minimal story, almost more of a comedy relief offering. But two beautiful pages by Simonson. 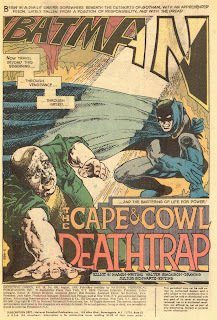 Here's a blog post on BATMAN 321 by Wein and Simonson. Honestly it wasn't one of my favorites, but still nice to see another Simonson take on Batman. Followed by a collection of Simonson splash pages from Batman stories he did. My favorite of the Simonson offerings on Batman is DETECTIVE 450. To me it harkens back to the very earliest Batman stories where Bruce Wayne and Commisioner Gordon meet and sit in armchairs as Gordon discusses his latest baffling case. Beyond innovative art, and despite the brevity of it, the story has both sophistication, humor and surprise twists galore in its scant 12 pages. I also love the ending, that presents Batman as a feared pulp-like hero who is almost a supernatural force.